I mean a full color image, not the dust sprite. For me it's an image of a dust sprite with the transparent background. Not sure if it's because the TGA format went to PDN rather than GIMP. The data is still there, it's just not visible like that. 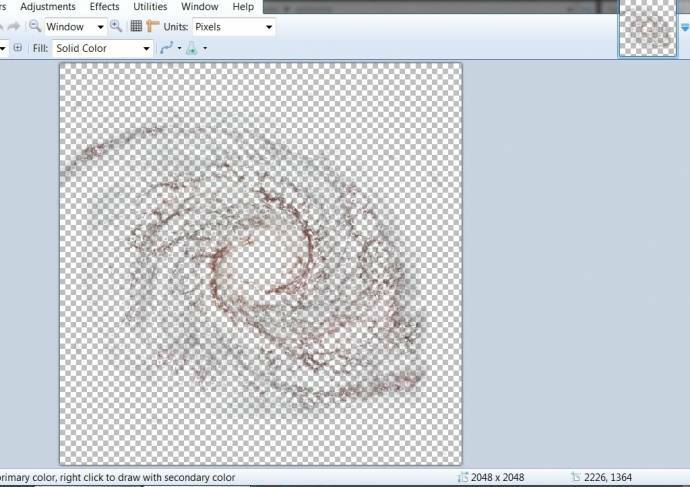 Open it in GIMP, add a layer mask, and select Transfer Layer's Alpha Channel. Then you can disable the layer mask to toggle the transparency. Alternately, you could just remove the alpha channel to get the full color image (easier and faster, but not as fun). I'll have to read the manual about the mask stuff and play around with it. SpaceEngineer, is it possible to create a bulge for a spiral galaxy that has different dimensions for each of its three axes (have it be 5kpc long, 3kpc wide, and 2 kpc thick, for example), or will length and width always have to be equal (making it circular when seen from above)? No, it has only two dimensions - bDetailR and bDetailZ. If it is needed, I'll add a third dimension. If it is needed, I'll add a third dimension. SpaceEngineer, there seems to be a bug where the galaxy AngleAxis values in the edit mode do not equal the Quat values in the script. Only the first two numbers match. If this is the value: ( w, x, y, z ) then w and x are the same for Quat and AngleAxis, but y and z are different. 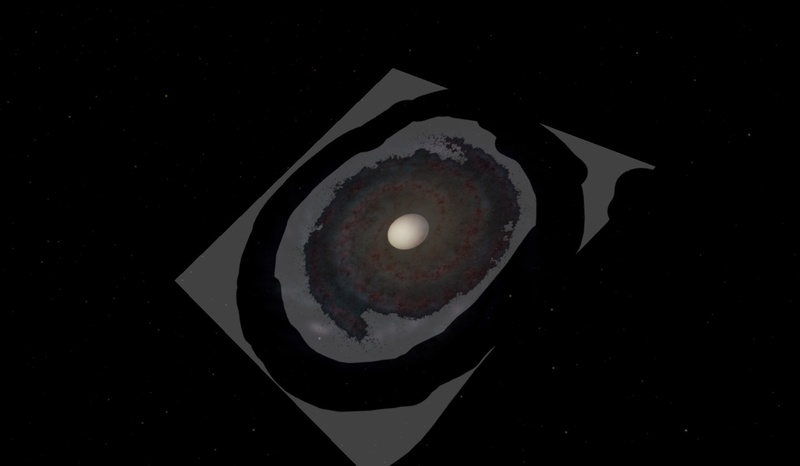 This makes it impossible to use the edit mode to properly orient a galaxy model. To make the alpha channel, I use Gimp, and I've downloaded a high-pass filter add-on. Whel you have the sprite, do an high-pass filter (with radius ~20 pixels, it generally works fine), then desaturate the colors. The next step it to invert colors : dust zones will appear white now, then finally, use the "contrast/brighteness" tool to balance the dust density. The result is not perfect, and it needs a little more work, but this does simplify a lot the task. After, if you want to apply the alpha channel to the image, create a mask with the original sprite, then copy the dust sprite here. Nvm, got it working fine. Thank you so much! The pixels of the galaxies without dust and stars shoule be coloured in black (for the RGB channel) and black (or transparent, for the alpha channel). Don't worry, the first galaxies I made were like this.